Like any modern clergyman worth his weight in used printer cartridges, I e-mail, blog, Facebook and Tweet. I even used Power Point at our recent Annual Meeting. I’m always trying to get our parish to communicate in new and exciting ways. 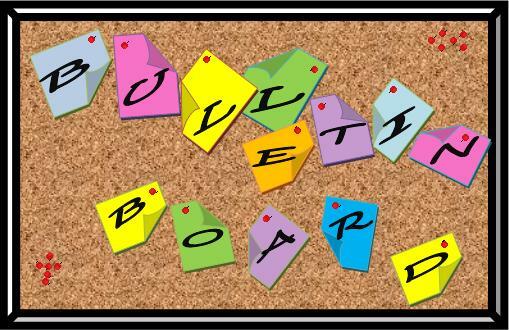 So why is it that the communications tool with the greatest impact on daily church life is still the bulletin board? I recently had one put up on the wall outside the church office and you’d have thought I co-invented the internet with Al Gore. People are thrilled! On Sunday mornings you can find people loitering in front of it, reading news clippings (those are from things called newspapers that people used to read on a daily basis), staring at flyers for upcoming events, and even picking up copies of recently preached sermons. Move over Ronald Reagan, I’ve become “The Great Communicator.” Who knew the good, old-fashioned bulletin board would become a communications miracle? This seems to be yet another reminder that as communicators we live in an in-between time. While some folks are all digital all the time and others are all newsprint all the time (please wash your hands), most are somewhere in the middle. Being born too early to be fully digital, I guess I’m in that category myself. I’m usually about five years behind most technologies. I get there eventually. Here’s an example: When we moved here, I tried to save money and the environment by subscribing to the Boston Globe only Thursday through Sunday. I’ve always been a newspaper each and every day kind of guy. Ever since I learned to read I have started my mornings with a bowl of cereal and the sports section. Now, Monday to Wednesday I feel out of sorts. I wander around the kitchen with my bowl of cereal and it’s just not the same. Which has nothing to do with the morning ritual of arguing with the kids about getting socks on. So the bulletin board is a window into a simpler time. A time when we weren’t all radically available via smartphone. In time people may stop noticing the new bulletin board. But I somehow doubt it. It’s tangible, it’s visible, and people like it. Plus it never crashes. 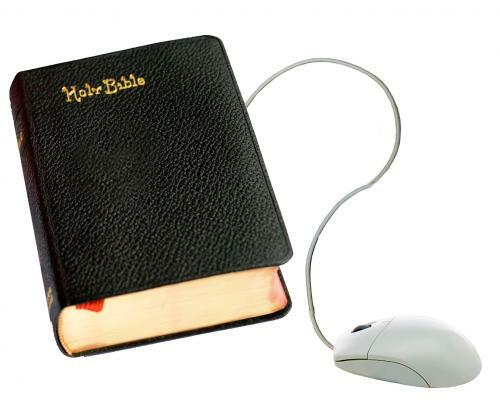 As you may have heard, the pope recently encouraged Roman Catholic priests to start blogging. Start? What have they been waiting for? If social media is all about building community, this is precisely what “communities” of faith should have been doing all along. Sure, Benedict himself still writes out his speeches and sermons by hand in German. Probably on those yellow legal pads. But he’s now encouraging younger clergy to get out into this new-fangled thing called the World Wide Web. It’s unclear how this was communicated from the Vatican hierarchy: snail mail, fax, carrier pigeon, or message in a bottle. His message, released on the Catholic Church’s World Day of Communications (who knew they had one? ), has gotten a lot of press. Here’s the article from MSNBC titled “Pope to priests: For God’s sake, blog!” My friend, fellow blogger, author, and communications expert Meredith Gould (herself a Roman Catholic) grieves “the too-pervasive lack of awareness and understanding about the power and value of digital communications” by the Catholic leadership. Check out her recent post on the subject here. I’m hardly an expert blogger. At least on the technology side: I’ve been blogging for a year and a half and I can’t even figure out how to add a Twitter widget! But I do look at this as part of my ministry; an extension of the pulpit. Though of course I can have a bit more fun with such an informal medium and I cherish the back and forth with those of you willing to leave comments. Meredith concludes her post by expressing pride in the Catholic clerics who have embraced digital media. “But does the Pope and his advisers truly think average parish priests have either the time or talent to blog on a regular basis? Will they have the freedom?” It’s a good question — I’m interested in seeing ( and reading) the answer. So, the Pope’s on YouTube. The Vatican’s YouTube channel is cleverly called “The Vatican.” I’m not sure how many cardinals it took to come up with something so catchy. If I was the Vatican’s marketing director I would have gone with PopeTube. I’m just sayin’. 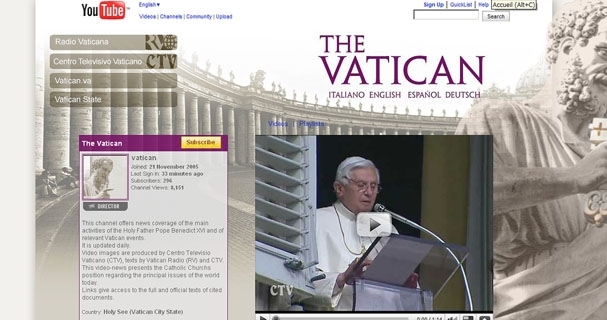 According to The Vatican (the Holy See, not the YouTube channel) the new venture “offers news coverage of the main activities of the Holy Father Pope Benedict XVI and of relevant Vatican events” and is updated daily. It’s also, I hate to say, incredibly boring. The videos are over-produced with stiff-anchorman-like voice overs. And while Benedict XVI is many things, let’s face it. Telegenic he’s not. Here’s one with the snappy title “Common Desire for Ecumenism between Rome and Canterbury.” It shows Pope Benedict schmoozing with Archbishop of Canterbury Rowan Williams. Don’t blink; it’s 46 seconds. I certainly don’t begrudge religious institutions embracing technology. I think it’s grand. I just wish most of their content didn’t look like a bunch old guys were the producers. Which of course they are. My advice? Loosen up, Vatican! Have some fun! Show us why being a Roman Catholic in today’s world is so compelling. And give us behind-the-scenes peek at the Popemobile. Until that happens I’m not sensing many viral videos from the pope. Is the art of writing cursive dead? Does it matter? This was the subject of a Boston Globe article yesterday titled “Cursive, Foiled Again.” As I type this — it’s hard to blog on yellow legal pads — I genuinely don’t know how I feel about the issue. Emotionally, it makes me cringe. What if John Hancock didn’t use cursive? Getting autographs from athletes might be more readable but a lot less fun. The major challenge of a pharmicists’ work — decoding the chicken scratch on perscription pads — would be eliminated. But logically, shouldn’t our kids be spending more time with computers than learning how to make a script “j?” Perhaps cursive will go the way of the feather quill pen but there is something wonderfully personal about it — especially in this era of e-mail and texting. To get a handwritten note with flowing loops is a great joy. Even if I can’t decipher half of what it says. Oddly, I never learned how to print letters — it’s a major gap in my education. I switched schools in Baltimore between third and fourth grades. In the one school they taught cursive first and then moved on to printing. In the other they taught kids to print before delving into script. The upshot is that I can write in block capitals or I can write in cursive — something my boys find hilarious. When they were just learning to print they often offered to “teach me.” But I’ve made it 40 years without the skill and I’m just not interested. Of course my handwriting is horrific but I can’t blame that on my teachers. Or maybe I should. A library without books? The headmaster of a New England prep school is convinced this is a good idea. An article on the front page of today’s Boston Globe is accompanied by a picture of Cushing Academy’s $500,000 digital library. “When I look at books, I see an outdated technology, like scrolls before books,’’ said James Tracy, Cushing’s headmaster and chief evangelist of the bookless library. Now, I realize I’m an old and old-fashioned 40-year-old. But the whole notion makes me cringe. What’s a church without a cross? What’s a baseball field without bases? What’s a Walmart without a greeter? What’s a library without books? I envision the bookless library to be about as effective as the paperless office. Most of the books I read these days comes from browsing the stacks at the local library. Yes, I judge books by their covers — something you can’t do digitally. And while I’d like to see libraries do more with technology (I won’t by a Kindle until I can download books for free from a library), I also love the physicality of a book. Perhaps I’m just a speed bump on the digital highway of the future. But I like how books feel and smell; I like the communion between author and reader that comes through a book; I like turning pages; I like bookmarks. Of course ancient scribes probably felt the same way about parchment. On the upside, the new “library” will include a $50,000 coffee shop complete with a $12,000 cappucino maker. Besides the fact that combining raging hormones and lots of caffeine is a recipe for disaster, there’s another potential danger here: Kindle Reader — meet hot coffee. Oops. Here’s my latest article in The Living Church. In it I publicly admit that I’m a lousy Twitterer so don’t quote me. I do quote two friends who are also my Twittering idols, the Rev. Scott Gunn, a priest and blogger from Rhode Island, and Meredith Gould, an author, blogger, and marketing communications specialist from Princeton, New Jersey. Enjoy. I’m a terrible Twitterer. Granted I’m a novice, but so far I feel like the Mr. Magoo of Twitter: I have no idea what I’m doing. Blogs, Facebook, email, text and instant messages — these I know. But I always swore I wouldn’t Twitter until I could figure out the grammar. I’m still somewhat confused but here’s what I’ve learned: Twitter is the proper noun; tweet is a noun — you send a “tweet”; twitter is the verb (not to be confused with the proper noun “Twitter”). So you can use Twitter to twitter a tweet. I think. I may have to write a tongue twister. What exactly is Twitter? It’s a free social networking or “micro-blogging” website that allows users to answer the ubiquitous question, “What am I doing?” All within 140 characters. But the underlying question is, “Why Twitter?” Or blog or Facebook or MySpace or anything else for that matter? At one level, Twitter is the epitome of narcissism. It’s all about me – what am I doing? Where am I? How am I? What am I thinking? Feeling? Observing? Sensing? Conventional wisdom holds that the internet has revolutionized the world as much as Gutenberg’s 15th-century printing press. It has certainly transformed the way we communicate with one another. We now expect instant communication via e-mail, text messages, Facebook, instant messaging, YouTube, and Twitter. Opinions are published via online news sites and blogs so quickly that many believe the daily newspaper is obsolete. All of these communications tools are collectively referred to as “new media,” and congregations throughout the world are exploring ways to help them build community and spread the gospel of Christ. Which brings me to admit that I’m conflicted by some of the Twitter language. Rather than having “friends” like on Facebook, you have “followers” — people who receive your status updates. At last count I have 10 (versus my nearly 200 “friends” on Facebook). I actually prefer to think of them as “Disciples” and am considering not accepting any more after I reach 12. How’s that for a priestly Messiah complex? Therein lies the opportunity and the challenge. Moving beyond church business as usual means trying new things — Twitter in my case. For most of us — as individuals and congregations —this is all a work in progress. As with anythingnew, there is excitement about new possibilities mixed with anxiety about the loss of the familiar. This is also a great way to involve younger members of the congregation who live firmly in the electronic world. Heck, it’s one of the reasons I had kids in the first place: at-home tech support. My brother’s new company, Art Quiver, got some great press today in the Charlottesville Daily Progress. The article is titled “Paint and Click” — a bit cheesy but given that AQ is an online art gallery it makes sense. There’s even a picture of him so you can see first-hand just how better looking I am. Now that Matt’s in the art business (he was formerly part owner and an Executive VP at Rosetta Stone), our middle names are even more ironic. He got “Edwards” for the only famous relative we seem to have — the 18th century preacher Jonathan Edwards of Great Awakening renown. And I got “Edgar” for my father’s father who was a Museum Director (Brooklyn Museum in the 1950’s among others).